Combine Beef with all the ingredients except the marinara and the potato dumplings. Mix all the ingredients in the beef and form into 1 1/2 inch meatballs. You need 12. Cut the dumplings in half, Flatten the thawed potato dumplings and form into a flat circle. Spray a muffin pan with non stick spray and place a dumpling round into individual cups. Press the dough down and up the sides. 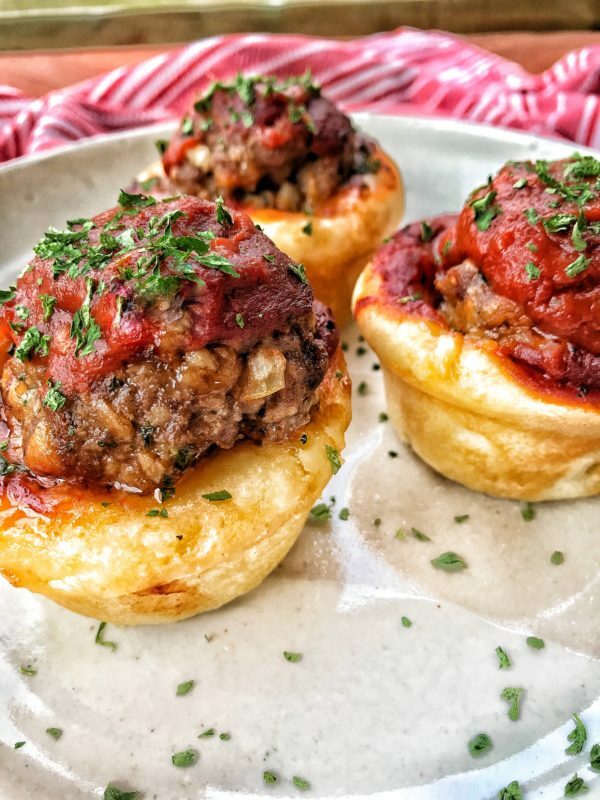 Place a meatball into each of the dough cups and put about 1 T of pizza sauce into each cup. Remove from oven and top with more sauce, ricotta, parmesan or mozzarella cheese can also be added to the top.